Green chilly - 2-3 nos. Carrot grated - 1 no. Take all the ingredients together in a bowl and mix it well. 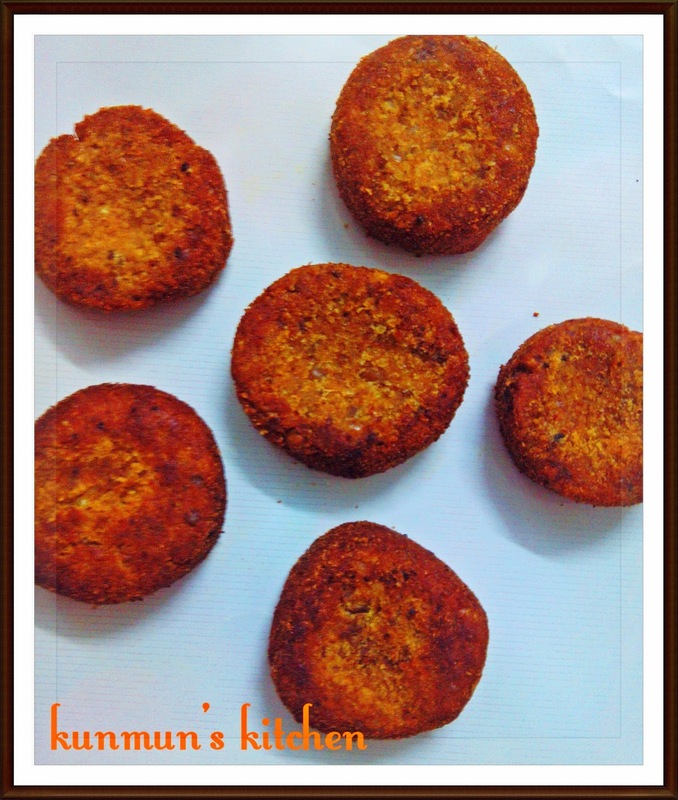 Divide the mixture into equal portions and give tikki shape, roll over the bread crumbs and shallow fry in tawa / pan. Serve hot with any chutney or sauce or as side dish with rice. NOTE :- You can also deep fry the tikkis in oil till golden in colour. You can prepare chaat from this. Keep the tikkis in plate, just flatten it by your palm, add fresh curd, green chutney, imli ki meethi chutney, chaat masala, chopped onion, coriander leaves, black salt, roasted cumin n coriander seeds powder and spread some bhujiya..Enjoy your chatpati snacks..!! !